Ampenyi village tour | Your Beach House in Ghana • Right at the ocean! The ‘be-the-change’ foundation tries to improve lives of those in the Ampenyi community (where the Ayikoo beach house is located). 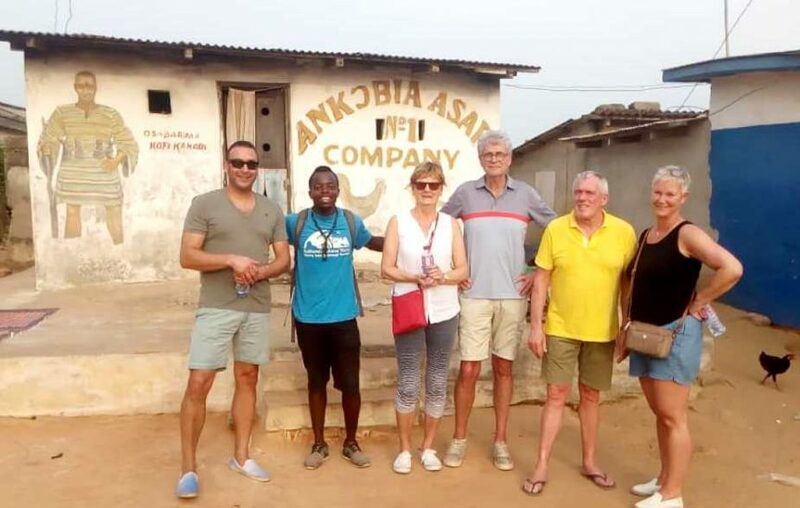 The initiator – California – is happy to give you a feel of traditional Ghanaian way of life in the fishing community of Ampenyi. The tour is actually free of charge, but a donation to the above foundation is of course much appreciated and will definitely help the community. He can also organise a lagoon tour (great for bird lovers) or even an excursion at sea with local fishermen.